Priyanka Chopra and Nick Jonas tied the knot in a three-day long extravaganza at Jodhpur's Umaid Bhawan in December last year. Touted as the wedding of the year, the festivities were attended by PeeCee and Nick's family and close friends. 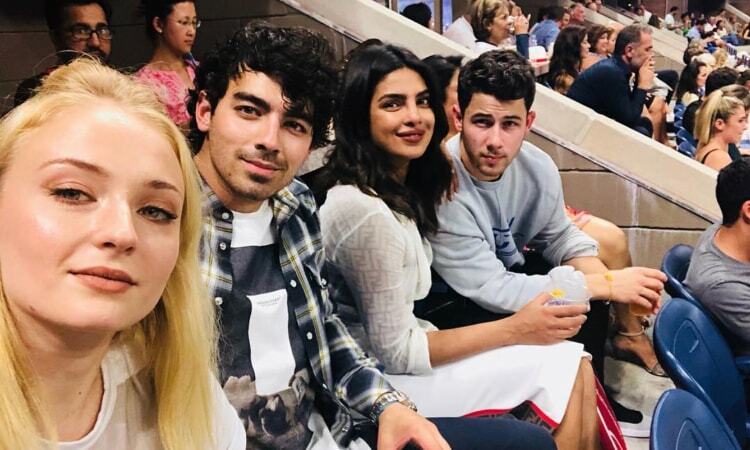 Now months after that, Star magazine recently reported that Priyanka is all set to plan her brother-in-law Joe Jonas' wedding with Sophie Turner as well. The magazine quoted a source as saying, "Priyanka is doing this as a favour to Sophie and Joe, but also because she loves weddings. Sophie is thrilled because she loved how Priyanka planned her wedding to Nick in December." Apparently, the insider further added that Priyanka's idea of their wedding "ridiculously expensive," including "live doves, orchids shipped from Asia, a full orchestra and a gospel choir at a fancy estate." Although there was no mention of date and venue, the magazine interestingly stated, "Joe did tell Sophie to spend what she wants, which was really generous of him, but he's going to be in for a shock when he gets the bill. At the very least, this is going to be a $1 million wedding." But guess what? The buzz surrounding Priyanka being the wedding planner for Joe and Sophie's wedding was sadly untrue. Incidentally, Gossip Cop checked in with Priyanka's spokesperson, who clearly said that the reports are not correct. Meanwhile, on the work front, Priyanka was last seen in Isn't it Romantic? Alongside Liam Hemsworth. She is all set to make her Bollywood comeback with Shonali Bose's next film The Sky Is Pink.